This model is 5' 9" and wears a size S. Their chest measures 34" and the waist 28". 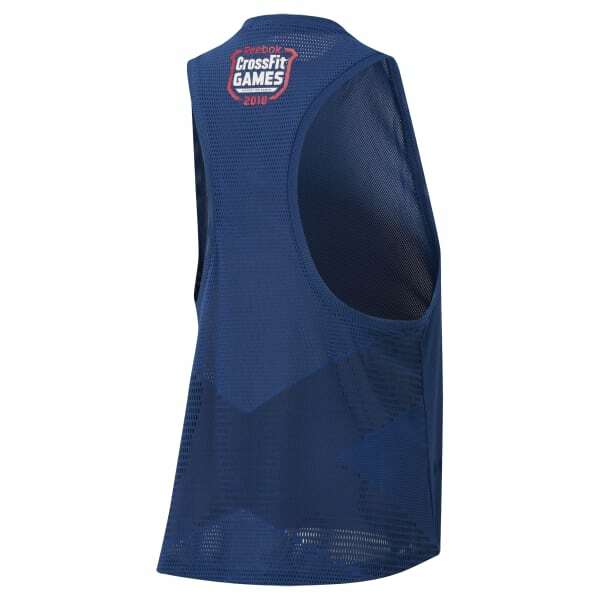 Up your competition game with this women's tank top. Extreme dropped arm holes are designed to help provide daring mobility for lifting and pulling. This tank is shaped to help it fit a CrossFit athlete's broader shoulders and chest. The CrossFit Games crest is printed on the back.